Number 1: I love Beatrix Potter because she wrote some awesome stories. For a hundred years now, children have read and loved the stories about Peter Rabbit, Tom Kitten, Mrs. Tiggy-Winkle, and all the rest. One of my personal favorites was The Roly-Poly Pudding (or The Tale of Samuel Whiskers, depending on the edition). There was something about that story that was creepy but fun, like ghost stories around a campfire. In the story it was chillingly cool that the house was so big that Tom Kitten could get lost for days before anyone might find him and that the walls were three feet thick. Number 2: I love Beatrix Potter because her life inspired the Miss Potter movie. Did I mention that this movie is one of my all-time favorites? One of the things I love most about the movie is the way that the director brings the audience not just into Beatrix’s life, but into her creative process and into her mind. There are little moments—just a few, and very subtle—when Beatrix’s drawings come to life and respond to her. 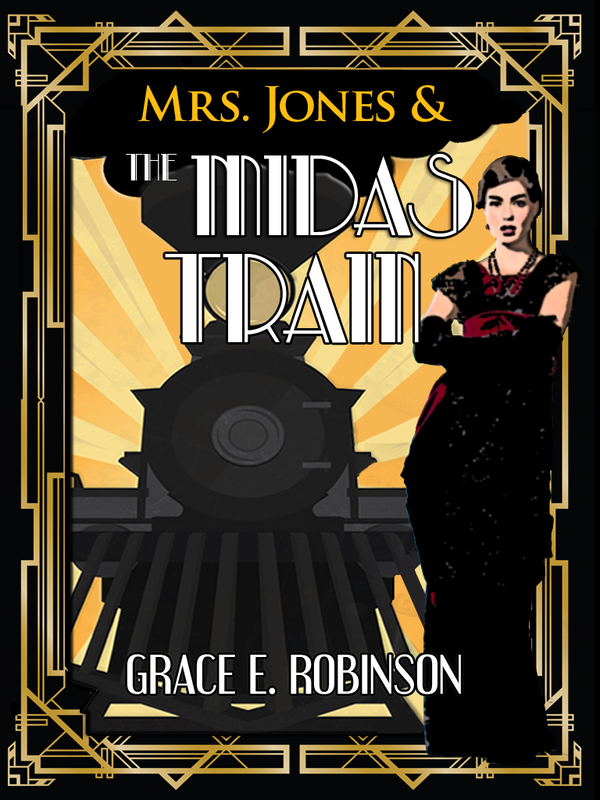 These moments are not long or overt and don’t interfere with the stodgy Victorian setting—they’re just little animated tweaks that let the viewer know how deeply Beatrix was involved with her characters and art. How real they were to her. As a writer, I can readily identify with this concept. My characters are my friends; I enjoy spending time with them, and sometimes we even argue. For example, right now one of my characters (Teija is her name, and she’s normally a somewhat timid girl) is loudly banging on my mind to remind me that I left her last scene hanging much too long ago and when am I going to finish it already. There’s a scene in Miss Potter when Beatrix is trying to cope with a sudden tragedy in her life and she stays up all night sketching—only to have her beloved Peter turn away from her as she’s drawing. Peter Rabbit, frightened by his creator’s sadness and anger, flees from her, running away through the various drawings scattered across her desk. The pencil sketch of Peter Rabbit hides behind some flower pots in one drawing and peer out at her, as if to give her firm instructions: “don’t you dare try to paint me or tell my story until you’re in a better frame of mind.” Peter may be a troublemaker of a little bunny most of the time, but in that instance, he is giving his creator some sorely-needed guidance. Any other writers or artists out there besides me and the movie Beatrix who have experienced this? Have you ever felt guided (or even pushed) by your characters, instead of the other way around? 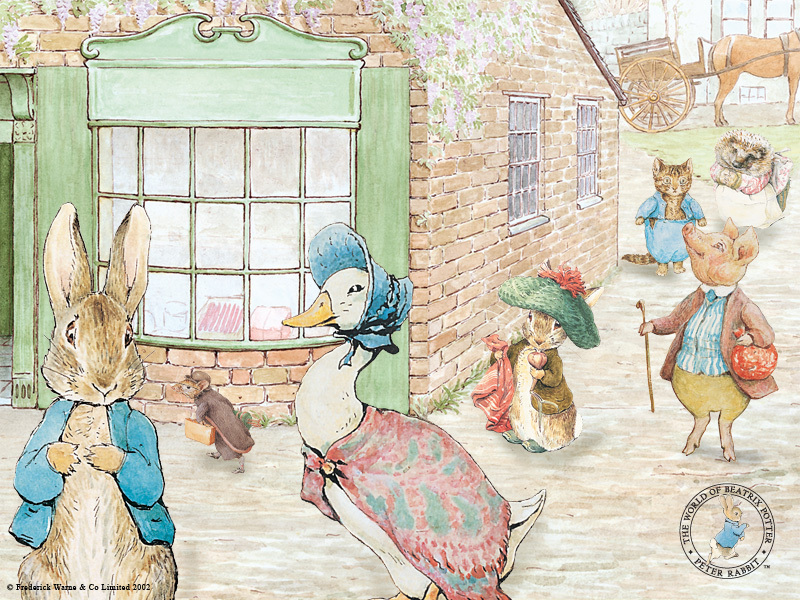 Number 3: I love Beatrix Potter because she achieved every writer’s dream. No, not every author or artist wants to live on a farm in the country raising sheep, but she did that because she loved it and she was making enough money with her books to live the lifestyle that she wanted. Control over their own life is every person’s dream to one extent or another, I believe. Not everyone will achieve this dream—and not every writer will get rich with their books—but the way I see it, if even one person did it, then there’s a chance that someone else can, too. Beatrix Potter not only gained control of her lifestyle with her books, but she accomplished what is perhaps an even deeper universal dream—she created a legacy. She wrote something worth reading long after she was gone. More than 50 years after her death, and her stories and drawings are still bringing joy to children everywhere. I’d love to hear your thoughts! Any other fans of Beatrix Potter out there? What author’s life story has inspired you?